Neville Isdell was a key player at Coca-Cola for more than 30 years, retiring in 2009 as CEO after regilding the tarnished brand image of the world's leading soft-drink company. 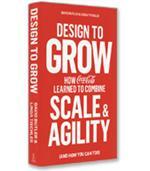 This first book by a Coca-Cola CEO tells an extraordinary personal and professional world-wide story, ranging from Northern Ireland to South Africa to Australia, the Philippines, Russia, Germany, India, South Africa and Turkey. Born in Northern Ireland, raised in Zambia and assigned to executive positions around the globe, former Coca-Cola Chairman and CEO Neville Isdell has written a CEO memoir unlike any other. Inside Coca-Cola is a book about passions. From his first job as the manager trainee of a two-truck depot in a Zambian copper mining town to the culmination of his career as Chairman and CEO, Isdell is clearly passionate about Coke. "I have a belief system that when the Good Lord created the world, he created Coke No. 1 and Pepsi No. 2. The Philippines was a terrible aberration," he writes, when describing a rare market in which Pepsi was beating Coke by two to one (and four to one in Manila). Isdell is also clearly passionate about Africa and its people. Whether protesting against apartheid as a student at Cape Town University, breaking curfew to visit the township shebeens (illegal bars in people’s homes where whiskey and coke was a popular drink) as a young executive, or appointing South Africa’s first black sales manager, Isdell reveals his sensitivity and compassion as he struggles to operate a large business under an unjust political regime. Years later, addressing as group president a bottler’s conference in Nairobi, Isdell would tell the audience: "I'm home." Another passion is rugby, which in the world of Isdell’s youth is inextricably tied to life and culture. The six-foot-five Isdell describes how his rugby skills won over the Afrikaners’ managers who resented an "Englishman" heading the Coca-Cola bottling operations in South Africa. Afrikaners had fought the British in two wars, and lingering resentment against the British was still strong at that time. Inside Coca-Cola describes Isdell’s steady rise through the ranks of the company, moving from South Africa to Australia to the Philippines to West Germany, and finally landing at corporate headquarters in Atlanta. At every step of the way, Isdell describes not only the business challenges he faced, but the challenge of operating in a foreign culture. Isdell (and his wife and daughter) always made an extra effort to understand the cultural characteristics in each country, often working closely with a local employee to prevent cultural missteps. 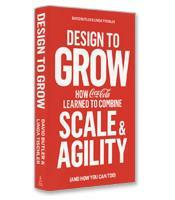 For these middle chapters alone, Inside Coca-Cola should be required reading for expatriate business leaders. Although dedicated to the company, Isdell never aspired to be the CEO and Chairman of the conglomerate. In fact, he had retired with his wife to Barbados when the call came from a Board of Directors desperate to find the right man for the job. After the untimely death of legendary Coke CEO Roberto Goizueta, the company had been led by several unsuccessful CEOs, and its reputation and market share was suffering as a result. Isdell’s turnaround story is a lesson in thoughtful yet decisive leadership. As the new CEO, he focused on building a new team and traveled the world to understand the state of the company, taking note of unhappy bottlers, distrustful employees and poor marketing. In August 2004, Isdell met with all of his direct reports at a hotel in London for a no-holds-barred strategy meeting. The result was a Manifesto for Growth built on five principles, all beginning with "p": be a great place for People to work; build a Portfolio of quality products; nurture win-win relationships with Partners, including customers and suppliers; support the Planet by helping to build and support sustainable communities; and maximize long-term Profits to shareowners while not forgetting overall responsibilities. These five principles, which Isdell credits with guiding the successful turnaround, reflect his own principles of the importance of people and key partnerships, and the corporate imperative of balancing profit and social responsibility. 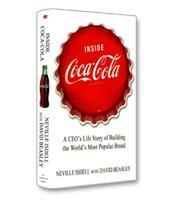 Co-authored with professional writer David Beasley, and filled with compelling anecdotes, exotic locales and colorful characters, Inside Coca-Cola is an opportunity to watch a sophisticated, tough yet emotionally intelligent leader navigate the complex external and internal challenges of a global enterprise.